We are committed to providing the highest level of assistance in all aspects of home care whether at home, in an assisted living setting, via Hospice or any other care situations. Associated Home Care is the leading private home health care agency in Greater Boston. We are located in Beverly, Boston, Burlington, Fall River, Leominster, Marblehead, North Andover, Plymouth, Springfield, Taunton and Worcester, and we provide home care to families throughout Eastern, Central, and Southern Massachusetts. 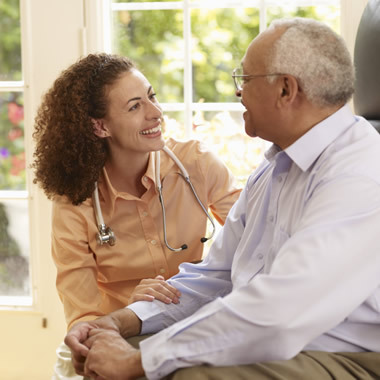 We are committed to providing reliable, competent and affordable home care staff. Our office and field staff are here for you and your family 24 hours a day, 7 days a week, 365 days a year. Every employee is carefully screened and must pass extensive testing including a state-approved written test, an in-depth personal interview, reference checks, criminal background checks, current physicals and TB tests. All employees also undergo continuous training and supervision. Position Care Aide - Great Pay w/ FREE Homemaker Training! Care Companion Care Companion for In Home Care Care Companion- set your own schedule! 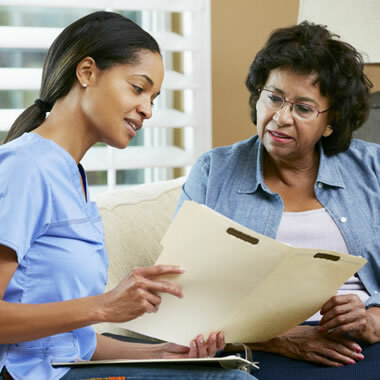 Caregiver Caregiver - Home Health Aide Caregiver - Home Health Aide - $14/hr Caregiver - SHCA Caregiver - any skill level Caregiver - great benefits + training opportunities! Caregiver / Companion Caregiver / Companion - Flexible Hours! Caregiver / Companion - Great Pay + Benefits! Caregiver / Companion - New Pay Rate! Caregiver / Companion - Set Your Own Schedule! Caregiver / Home Health Aide - Free HHA Training! Caregiver/Companion - $12/hr + any shift! Caregiver/Companion - Short Shifts! Caregiver/Companion - Competitive Pay! Caregiver/Companion - Flexible Schedules Caregiver/Companion - Great Benefits! Caregiver/Companion - Great Pay! Caregiver/Companion - Part-Time Caregiver/Companion - Part-Time - $12/hr Caregiver/Companion - choose your own shifts! 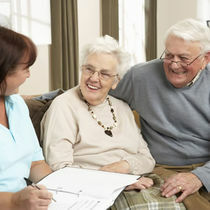 Caregiver/Companion - free HHA training for new hires Caregiver/Companion -Flexible Hours - $12/hr! Caregiving - Great Pay + FREE Homemaker Training! Caregiving - Great Pay + FREE Personal Care Aide Training! Companion / Caregiver Companion / Caregiver - Part-Time, Great Benefits! Companion / Caregiver - Part-Time, Great Pay! Companion / Caregiver - Part-Time, Short Shifts! Deep Clean - House Cleaning - Great Pay! Deep Clean House Cleaning - Part-Time FREE Home Health Aide Training - any skill level! FREE Training + great pay- In Home Care Free HHA Training For Caregivers! HHA - $14hr - pick any shift! HHA- Competitive Pay! HHA- Flexible Schedules HHA- Great Benefits! HHA- Great Pay! HHA- choose your own shifts! Heavy Chore / House Cleaning - Great Benefits! Heavy Chore / House Keeper - Great Pay! Heavy Chore Cleaner - great pay! Heavy Chore Cleaning - Great Pay + Benefits! Hiring ASAP - Home Health Aide (HHA) Home Care Aide - Flexible Hours + $15/hr! Home Care Aide - Great Pay + Benefits! Home Care Aide - Great Pay! Home Care Aide - choose your own shifts! Home Care Aide- choose your own hours! Home Health Aide (HHA) Home Health Aide (HHA) - Competitive Pay! Home Health Aide (HHA) - Flexible Schedules! Home Health Aide (HHA) - Great Pay! Home Health Aide (HHA) - set your own schedule! Home Health Aide (HHA) Free Training! Home Health Aide - $14/hr + FULL Benefits! Home Health Aide / HHA - $14/hr Home Health Aide / HHA - $14/hr + Great Benefits! Home Health Aide / HHA - Competitive Pay! Home Health Aide / HHA - Flexible Schedules! Home Health Aide / HHA - Great Benefits! Home Health Aide / HHA - Great Pay! Home Health Aide / HHA - Short Shifts! Home Health Aide / HHA Needed for Weekends Home Health Aide / HHA for In Home Care Home Health Aide Caregiver - Great Pay! Home Health Aide Caregiver- any shift! Home Health Aide for In Home Care - $14/hr! Homemaker Homemaker - $13/hr with Flexible Hours! Homemaker - Benefit Packages + $13/hr Homemaker - Competitive Pay! Homemaker - Competitive Pay, Any Shift! Homemaker - Flexible Hours! Homemaker - Flexible Schedules Homemaker - Flexible Schedules + $13/hr! Homemaker - Free Training! Homemaker - Great Benefits! Homemaker - Great Pay! Homemaker - Part-Time Homemaker - Short Shifts! Homemaker - Short Shifts, $13/hr Homemaker - any shift, $13/hr! Homemaker - choose your own shifts! Homemaker / Caregiver Homemaker / Companion Homemaker / Companion - $13/hr Homemaker / Companion - Great Pay! Homemaker / Companion - great pay + FULL benefits! Homemaker Needed for Weekends - $13/hr! Homemaker Needed for Weekends - Great Pay! Homemaker- Part-Time, Great Pay Homemaker- Part-Time, Short Shifts House Cleaner - Great Pay + Benefits! House Cleaner - Heavy Chore House Cleaning - Deep Clean House Cleaning - Heavy Chore In Home Care - great pay + FREE HHA Training! In Home Care Companion - Great Pay! In Home Caregiver - FREE HHA Training!! In Home Caregiver/Companion - Flexible Schedules In Home HHA - Competitive Pay, Any Shift! In Home Personal Care Aide - Great Benefits! In Home Personal Care Aide - Great Pay! In Home Personal Care Aide - Short Shifts! Live In Home Health Aide (HHA) - Needed ASAP Live-In Home Health Aide (HHA) - Great Pay! PC Caregiver - Great Pay! PRN Home Health Aide Needed - Great Pay!! PRN Homemaker - great pay + benefits! Part-Time Caregiver/Companion Part-Time Caregiver/Companion - any shift!! Part-Time HHA Part-Time HHA - (4PM - 8PM Shift) Part-Time HHA - Flexible Schedules! Part-Time HHA - Great Benefits! Part-Time HHA - Great Pay + Benefits! Part-Time HHA - Great Pay + FULL Benefits! Part-Time HHA - Great Pay! Part-Time HHA - Great Pay, Short Shifts! Part-Time HHA - choose your own shifts! Part-Time Home Health Aide (HHA) Part-Time Home Health Aide (HHA) - Flex Schedule Part-Time Home Health Aide / HHA Part-Time Homemaker Part-Time Homemaker - $13/hr + FULL Benefits! Part-Time Homemaker - $13/hr! Part-Time Homemaker - great pay + benefits! Part-Time Homemaker - great pay! Part-Time Homemaker- Short Shifts! Part-Time Personal Care Aide - $13/hr Part-Time Personal Care Aide - Great Benefits! Part-Time Personal Care Aide - Great Pay! Part-Time Personal Care Aide - Short Shifts! Part-Time Personal Care Aide w/ FULL Benefits! Part-Time SHCA Personal Care Aide - Great Benefits! Personal Care Aide - $13/hr Personal Care Aide - $13/hr + Benefit Packages! Personal Care Aide - $13/hr + FULL Benefits! Personal Care Aide - $13/hr + flexible hours! Personal Care Aide - Flexible Schedules Personal Care Aide - Flexible Schedules + Great Pay! Personal Care Aide - Great Pay! Personal Care Aide - choose your own shifts! Personal Care Aide - pick any shift, $13/hr Personal Care Aide / Companion - Great Hours! Personal Care Aide / Companion - Great Pay! Personal Care Aide Needed for Weekends Personal Care Aide for In Home Care - $13/hr! SHCA - Competitive Pay! SHCA - Flex Schedule w/ $15/hr SHCA - Flexible Schedules SHCA - Flexible Schedules + Great Pay! SHCA - Flexible Schedules+ $15/hr! SHCA - Great Benefits! SHCA - Great Pay! SHCA - Part-Time SHCA - Short Shifts! SHCA - choose your own shifts! Short Shifts, Great Pay - In Home Caregiver Short Shifts, Great Pay - Personal Care Aide Supportive Home Care Aide (SHCA) Supportive Home Care Aide - $15/hr Supportive Home Care Aide - $15/hr + FULL benefits! Supportive Home Care Aide - $15/hr + any shift! Supportive Home Care Aide / SHCA Supportive Home Care Aide / SHCA - Short Shifts! Supportive Home Care Aide / SHCA - FULL Benefits! Supportive Home Care Aide / SHCA - Flex Schedule Supportive Home Care Aide / SHCA - Great Benefits! Supportive Home Care Aide / SHCA - Great Pay! Personal Care Aide for In Home Care - $13/hr! Home Health Aide (HHA) - set your own schedule! Part-Time Caregiver/Companion - any shift!! In Home HHA - Competitive Pay, Any Shift! Heavy Chore Cleaning - Great Pay + Benefits! Supportive Home Care Aide / SHCA - Great Pay! Home Health Aide Caregiver - Great Pay! PRN Homemaker - great pay + benefits! Home Health Aide (HHA) - Flexible Schedules! Homemaker - Competitive Pay, Any Shift! SHCA - Flexible Schedules+ $15/hr!